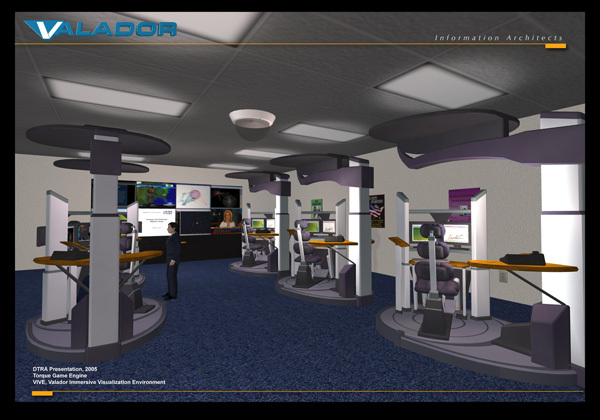 Valador Immersive Visualization Environment (VIVE™) is a development environment that integrates modern gaming technology, Valador models and simulations, and real-world data to create learning applications that present information in a stimulating, collaborative, simulated real-world environment, facilitating comprehension better than static text, charts, and graphs. 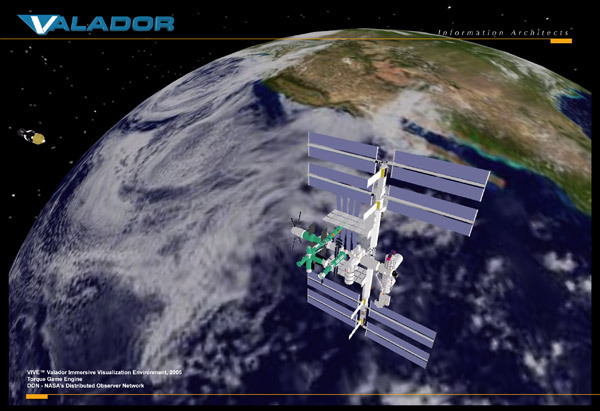 One example is the "Distributed Observer Network" (DON) produced for NASA. 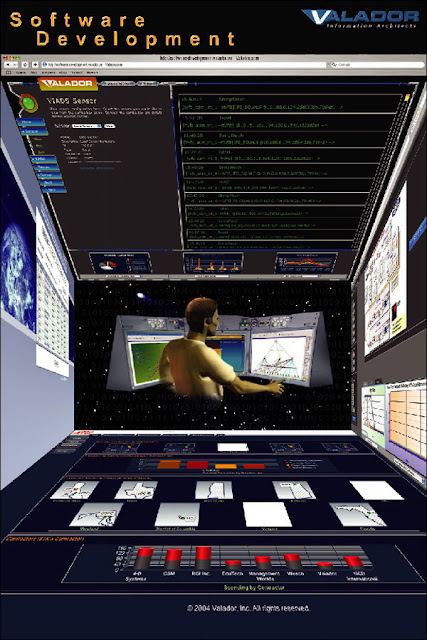 The DON is an internet based virtual environment prototyped to enable teams of NASA scientists located at different parts of the globe to "play with" and learn from realistic visual models of space shuttles, space stations, and any other space objects of interest. 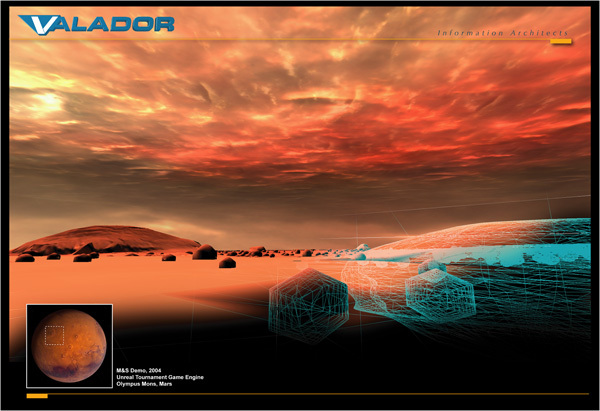 The DON uses a game engine (Garage Games' Torque 1.4) to render an interactive 3D visualization of an imaginary scene. Just as no one alive on this planet has ever seen a real Mesopotamian palace, no one has ever been able to watch a variable position close up of a space shuttle as it moves from launch through its entire mission. Therein lies the power of such game based simulations: they can immerse our eyes in virtual environments that we would never be able otherwise to see and to explore. In fact, the simulations displayed in the DON are often seen for the first time by the very people who created them. This is because the many simulations that NASA produces to test space concepts and components are often no more or less than massive amounts of abstract data. 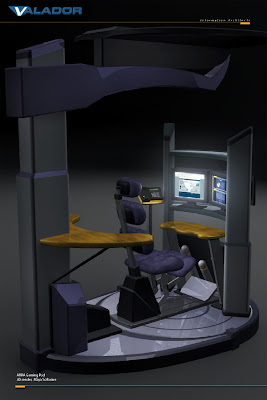 A particular mission segment simulation (e.g. a docking scenario) is just a string of numbers and coordinates, and it is extremely hard to talk about a series of numbers. Just as an Excel spreadsheet can render complex numeric data as a 2D graph, the DON can transform, say, the historical telemetry data of a rocket launch and docking procedure into a moving 3D image. Moreover, the DON allows a number of different people in different locations to watch the 3-D simulation from different visual positions: that is one might be observing the rocket from a side view while another may be watching the tail. The observers can also pause and rerun the simulation at will -- just like a DVD player. 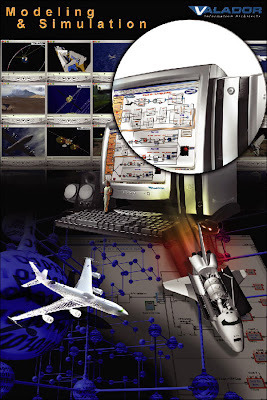 The result is a collaborative real time analysis that provides insights and information about, for example, the way separately designed components fit together or how next generation space vehicles maneuver when in orbit. Since NASA produces numerous sims in as many as a hundred different formats, the idea is to combine and integrate them in a single 3-D view that is then available for the first time to the individual creators of the components. Now think about the conventional learning experience and the degree to which students have in-school access to the kind of rich media described above. Fact is, the overwhelming majority of kids are still flipping pages in a book. But that is going to change.